Use quick keys to avoid repeated typing of email, surname, signature and many more! Appadvice.com: "It’s the perfect app for users who need access to snippets of content over and over." 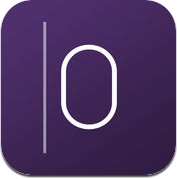 OftenType is a custom keyboard app which expands iPhone keyboard with additional quick keys keypad. You can easily increase your productivity by optimizing repeated typing. After set up you’ll only need one tap to type email, surname, address and other thing you have to type over and over again. IMPORTANT: Your data is securely stored on your iPhone, we don’t spy on what you are typing. - We do not collect any data you enter inside your custom quick keys. It is stored locally on your device. - We do not record your login information, IDs, addresses, e-mails etc. that you store in the app. - We need Full Access to load your data from application to quick keys outside the app. It's the only way in iOS design to use quick keys for custom information. - We do not use internet connection to copy or view the data inside your quick keys. Default keys set includes email, name, address, phone, phrases to texting, signature, company name & security ID. All titles are customizable, you can use them for any other texts you have to type often. Please, mind that password form fields usually disable third party keyboards. It’s beyond our power to fix this, though it’s more secure not to store your password inside an app. Feel free to share any feedback, ideas or thoughts. We’d like to hear from you and to help you enjoy our product.